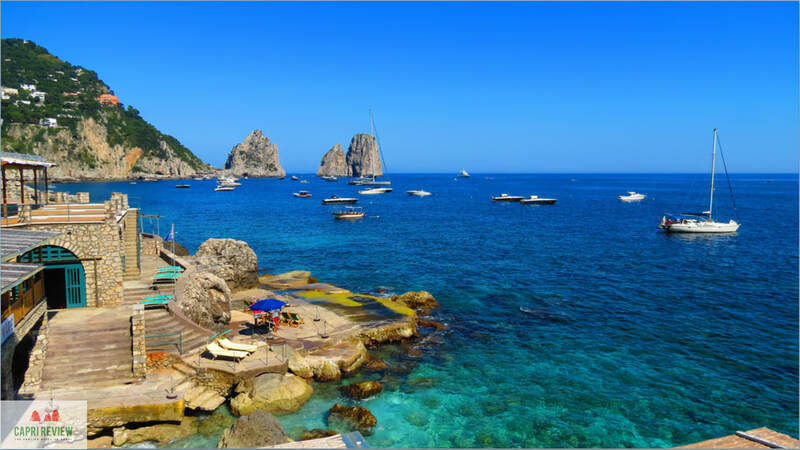 There are many ways that you can enjoy both Ischia and the surrounding area. We offer guided tours of the island as well as boat trips, horse-trekking, wine-tasting tours and lots more. Sant'Angelo seen from Serrara Fontana, part of the tour. 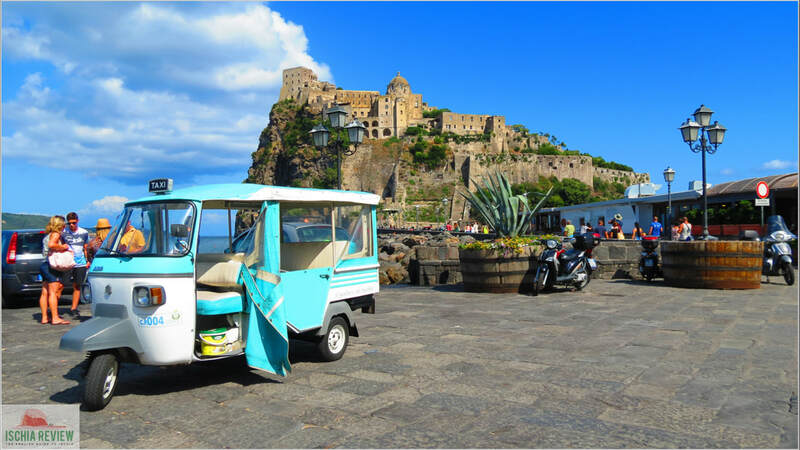 There are many ways of exploring the Island of Ischia, by car, boat, mini-bus or coach. We offer guided-tours around the island with a tour-guide who will take you around, showing you the most interesting places while also explaining the history & folklore. 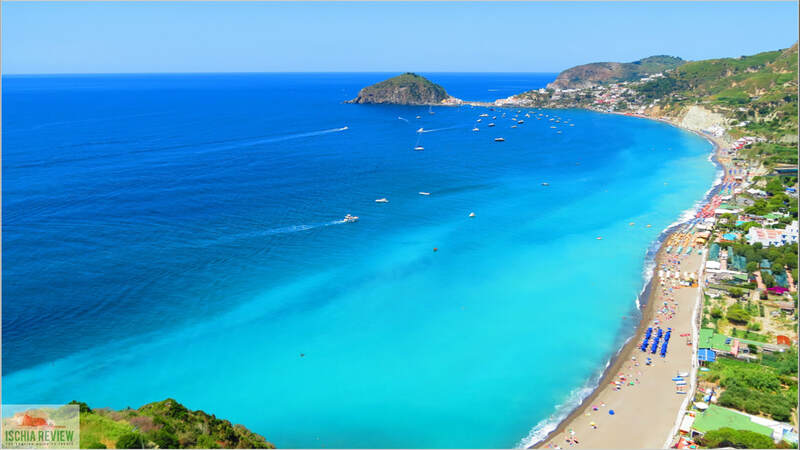 From Ischia you can visit a whole host of interesting places and other islands for the day. 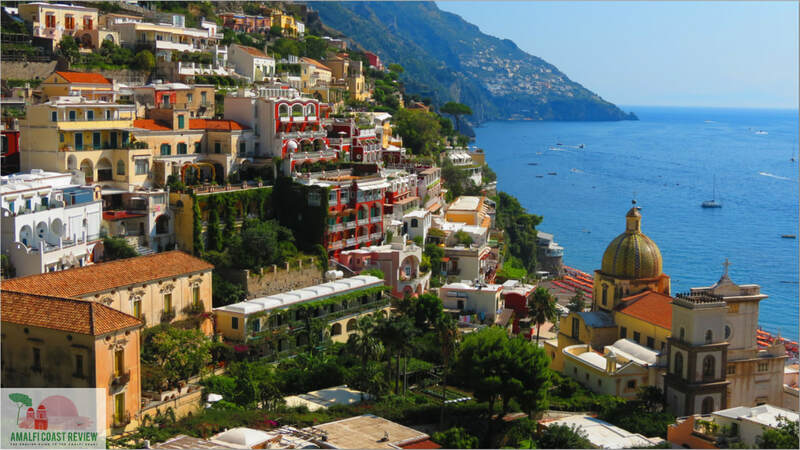 Some of the most popular destinations for day-trips from Ischia include: Procida, Capri, Amalfi, Positano, Sorrento, Pompeii, Ponza, Ventotene, Ravello and Naples. 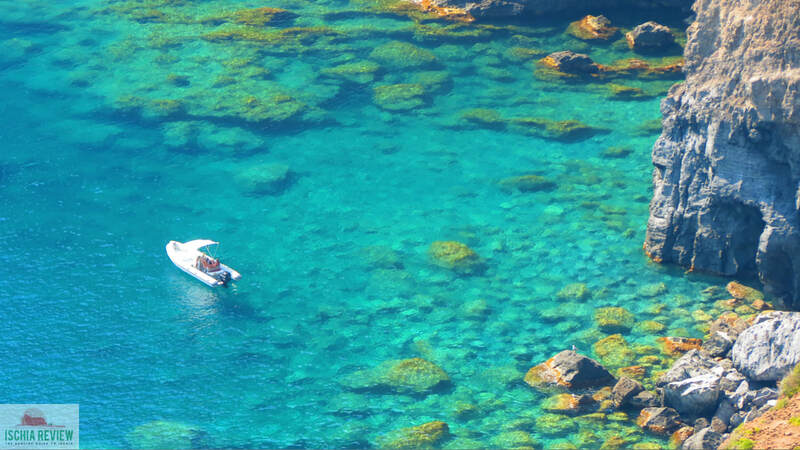 Ischia Review offers you the chance to enjoy Ischia from the sea with our boat rental service. 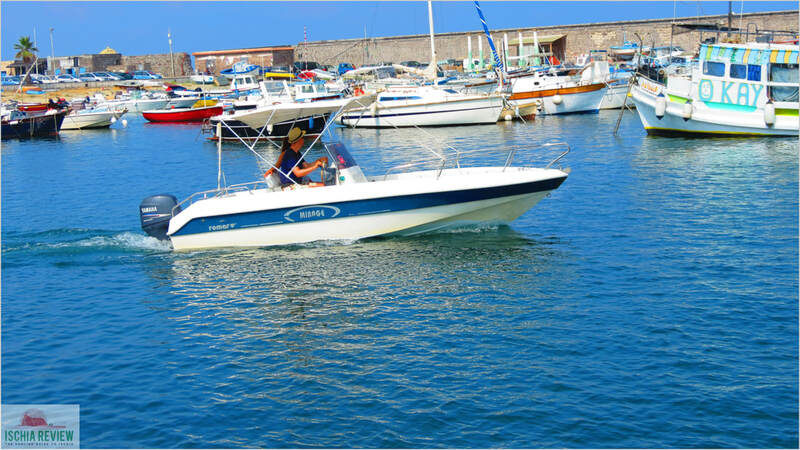 We have a wide range of boats that are suitable for a single person right up to larger boats for group excursions. We also offer the choice of a skipper for the day. As an alternative to the guided tours by road, we also offer a slightly different view of Ischia with our guided boat tours, all of course with an English-speaking guide who will help you enjoy the island from a different angle. Our range of day tours are designed for those people who are visiting the island for just one day and want to maximise their time on the island. The tours include stops at the major sights as well as vineyards, hot springs and thermal parks by sea or land. 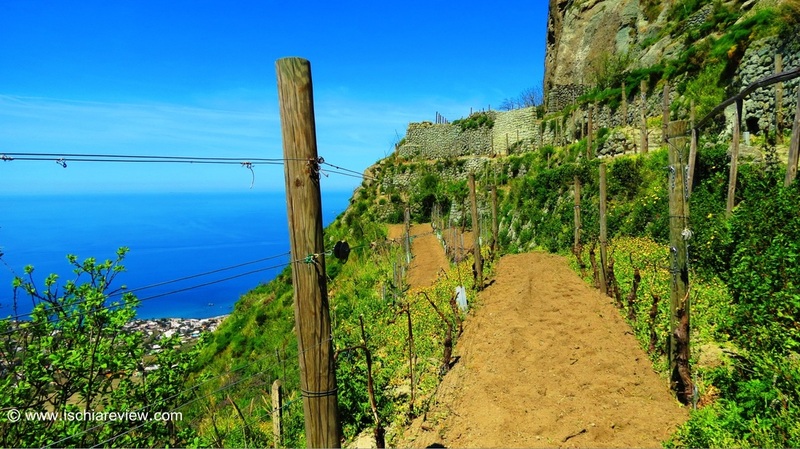 The leading wine producers in Ischia offer a variety tours of their museums, cantinas and vineyards. Based around the villages of Panza and Serrara Fontana they also offer packages that include wine-tasting and exclusive romantic dinners on Mount Epomeo. There are a number of different ways in which you can tour the island and one of the most fun is by using one of the iconic Micro-Taxis that allow you to enjoy the most interesting sights while relaxing in the open-sided vehicle. We all know that Italian food is among the best in the world and here in Ischia that tradition is as strong as anywhere. 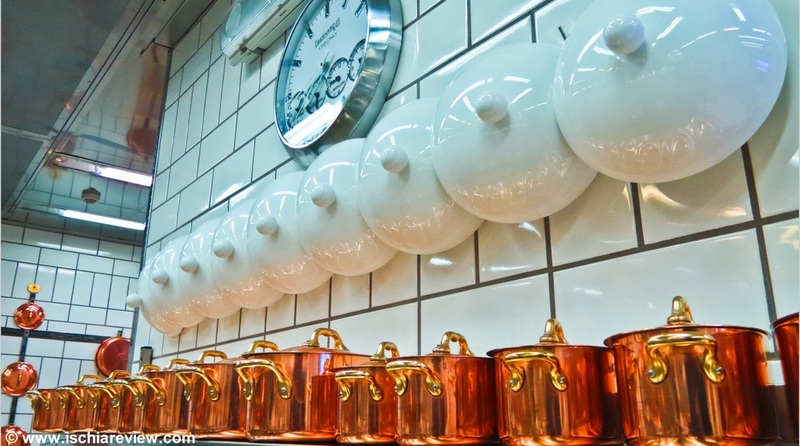 The cooking lessons offer you the chance to learn how to make a variety of Italian and Ischian dishes either in groups or for couples. 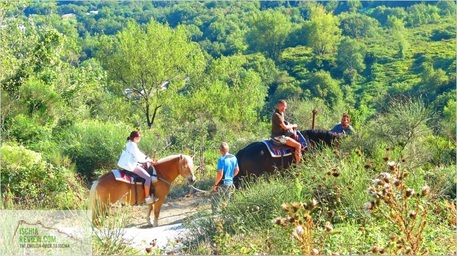 Seeing Ischia on horseback is one of the most relaxing and fun ways to see the island. We offer sunset, sunrise and lunchtime tours with optional meal packages in a traditional mountain restaurant. The tours are suitable for beginners or experienced riders alike. 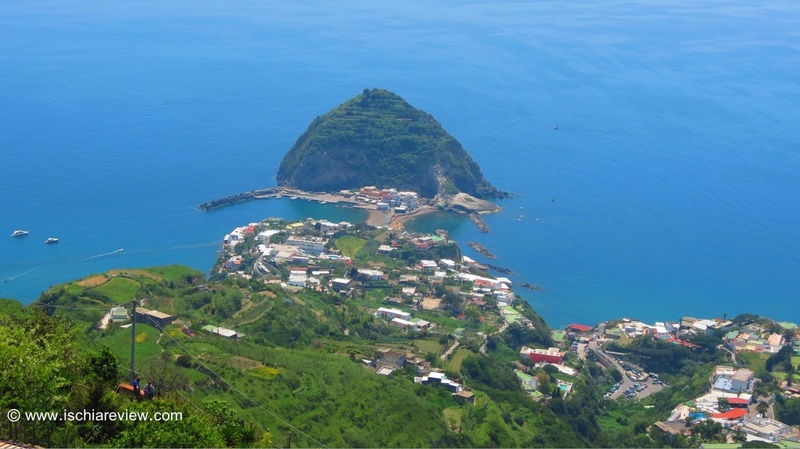 Ischia is a favourite destination for walkers and hikers and for many it's the main reason they come here. Our walking trails offer routes and advice to all fitness levels and abilities giving you a wide range of options to choose from.